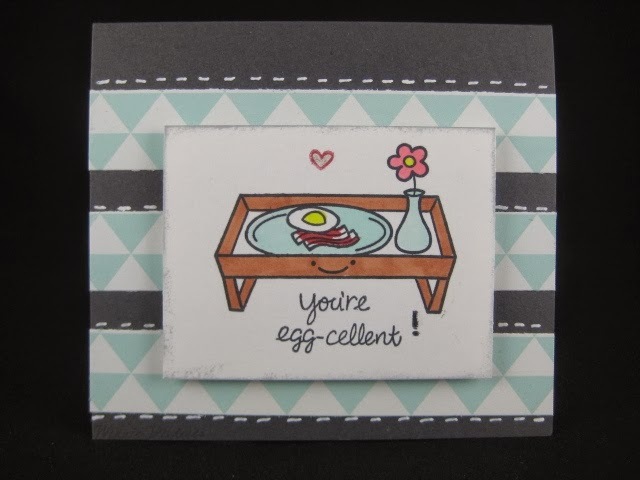 Winnie's Inky Fingers: You're Egg-cellent! Yesterday was a very sweet Valentine's Day! 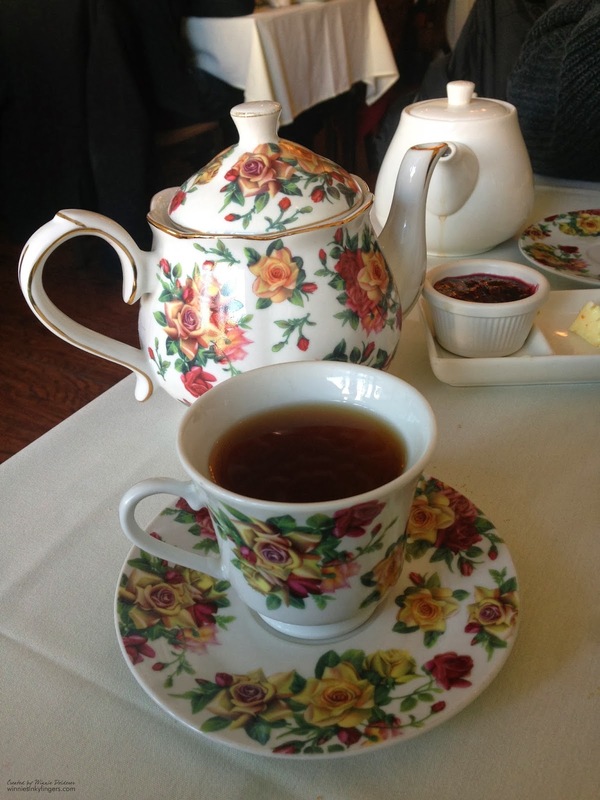 Both my husband and I take off from work each year to spend the day together and go for tea at a local tea shoppe named Chat Noir. It is a lovely place with fabulous food and service. We make reservations in advance as they always book solid for the day. I selected Creme Brulee tea and it was delicious! Their butterscotch scones are my favorite and I love their orange butter. For lunch we had Baxter pie which was something I never had before. 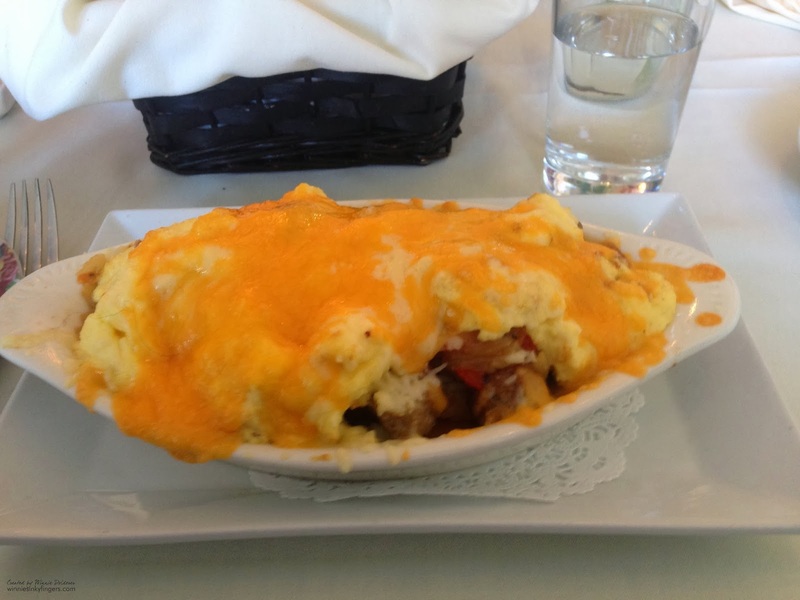 It reminded me of a breakfast bake with potatoes, veggies, sausage, eggs and cheese. I thought I would share the Valentine card I made for my hubby. This was a fun one for me to make. I bought this Lawn Fawn stamp set with my husband in mind. Every Sunday he brings me a tray with a cup of tea (and a silk flower). I get to spend a precious half hour enjoying my tea and a good book! It is a treat and then I get up and make us a nice breakfast (most often bacon and eggs!). So this card really reflects us in a fun way! Hoping you all enjoyed your Valentine's Day! The tea room sounds delightful and the card you made for your hubby is cute. What a great post! And such a lovely way to spend Valentine's day! And I love the card you made! Your Valentine's card and day are fabulous! Oh Winnie, this post is positively poignant! What a sweet man you have :) And the tea room looks yummy - sounds like one we have near our home in Cauley Square (Tiffany Tea Room in the Redlands) We book our girls' Mother's Day luncheon there every year :) The card is just so sweet! Isn't it great to find 'the image' to match a time in real life? Love it! Chat Noir sounds like a lovely place to visit, and the food looks delicious. I really like the card you made for your husband, and really was the perfect stamp to use based on your Sunday routine. Blessings!